BUSINESSMAN Ruben Feliciano believes that the police will not conduct a hasty investigation on the ambush on the group of San Fernando, Cebu Mayor Lakambini "Neneth" Reluya that resulted in the deaths of her husband and two others. Feliciano said he trusted the investigators despite the two-week deadline given by Police Director General Oscar Albayalde to the Cebu Provincial Police Office to solve the crime. 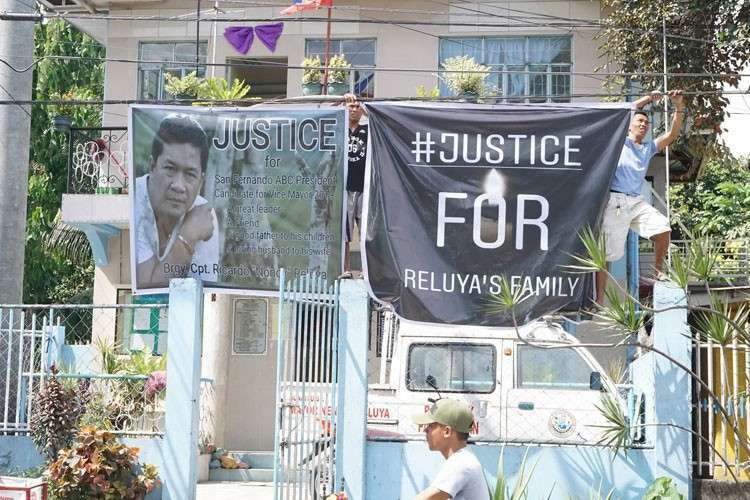 Feliciano said he is willing to submit himself to an investigation after Reluya told Police Regional Office-Central Visayas Director Debold Sinas that she believes the attack was politically motivated. The businessman is running against Reluya, who is seeking a fresh term in the midterm elections in May. Feliciano reportedly posted on social media that Reluya, her husband San Fernando Association of Barangay Councils President Ricardo "Nonoy" Reluya Jr. and other officials will be killed for their alleged involvement in illegal drug trade. "That's the problem when this kind of crime happens, it's always politically-motivated,” Feliciano told radio dyHP. He said the truth will come out, including the alleged irregularities committed by the Reluyas. "At the end of the day, the truth will surface ug unsa sila, asa sila engaged, ang ilang illegal activity. Mahibalo man gihapon na," he said. Feliciano admitted that he promised to have those drug personalities killed when he is elected as mayor during his talks with residents in San Fernando. He said this is his way of expressing his support for the war on drugs. "During my speeches in San Fernando, kahibalo nila na, I presented my platform of government. Number one, illegal drugs. I even cautioned them, I warned all involved in illegal drugs kay dugay na nang problema sa San Fernando, illegal drugs. I told them, ‘better evaporate’. If I’m destined to be there, kung ako na ang mayor, better evaporate San Fernando or else I will kill you. Very clear because I’m supporting the progam of the gvoernment against illegal drugs,” he said. Feliciano doubted that someone may have had hacked his Facebook account or there was a person who created a fake account and used his name in issuing threatening messages to the Reluyas. Feliciano is the owner of First Sangat International Port Inc., which is planning to construct a multi-million international port in San Fernando. Mayor Reluya ordered the project to stop because it lacks document. A native of Zamboanga City, Feliciano transferred residence to San Fernando four years ago because of the planned international port. He was connected to timber and mining industries in Davao. “I’m here in San Fernando not to create trouble, not to create problem. I’m here to help improve the community,” Feliciano said. He said he will not back out of the elections.